Also known as Ezedin Abdel Aziz Khalil is a senior operative of the al-Qaeda terror network. 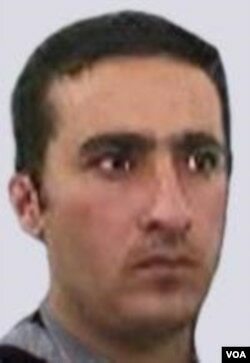 Ezedin Abdel Aziz Khalil who is better known as Yasin al-Suri is a senior operative of the al-Qaeda terror network living in Iran and moving money and recruits for the group across the Middle East. A native of Syria, he is 29 years old, is an ethnic Kurd, has black hair and brown eyes. Since 2005, he has operated out of Iran under an apparent agreement with government there as part of its support for international terrorism. By way of Iran, Yasin al-Suri facilitates the movement of recruits for al-Qaeda from the Persian Gulf region to Pakistan and Afghanistan. He is also an important fundraiser for al-Qaeda, and has collected money from donors and other fundraisers throughout the Gulf, again with the cooperation of the Iranian government. These monies are then sent to al-Qaeda leaders in Afghanistan and Iraq. He also arranges for al-Qaeda members being held in Iran's prisons to be released and sent out of the country to Pakistan. The Rewards for Justice Program is offering a reward of up to ten million dollars for information leading to Yasin al-Suri’s location. The U.S. guarantees that all reports will be investigated and the identity of all informants will be kept confidential. If appropriate, the U.S. is prepared to protect informants by relocating them.